I hadn't heard much about this book when I requested it from the publisher, but the summary sounded right up my alley and the cover was eye catching. All great reasons to read a book, right? 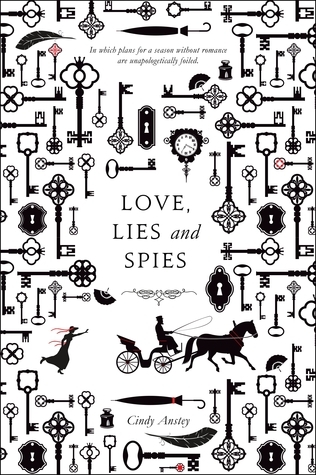 Love, Lies and Spies is set during the nineteenth century. The heroine, Juliana Telford, is more interested in researching bugs than getting married. But her father sends her to London for a season, so she hatches a plan to secretly publish their research... and refuse to become attached to anyone. That's when she meets Spencer Northam, a spy for the War Office. Like Juliana, he's more interested in his work than in marriage, so the two agree to pretend to fall for each other. What could go wrong? While the premise appealed to me, I think the most I could say about this book is - it was cute. I found the story really boring overall, which was disappointing. There wasn't enough spying or action! There was some deception and miscommunication, but not in a fun espionage way. It definitely focused on the romance, but that fell very flat for me. I wasn't invested in Juliana and Spencer - together or individually - because their relationship seemed predictable and rushed. Sadly, this just didn't live up to my expectations. My Lady Jane is unlike anything I've ever read before. It's the story of Lady Jane Grey - the sixteen-year-old girl who got roped into a scheme to put her on the throne as the Queen of England. Her dying cousin, King Edward, planned to name her as his successor to prevent his sisters, Mary and Elizabeth, from ruling. Jane had marry Lord Guildford Dudley to secure her position, but it wasn't long before everything unraveled. That's a quick version of history. My Lady Jane, however, imagines that there is much more to the story. It takes a lot of liberties with history as it blends comedy, fantasy, and romance. The summary on Goodreads compares it to The Princess Bride, which seems fitting. But it also should have been my first clue that this book wasn't for me because I hate that movie (I'm sorry, I'm sorry). 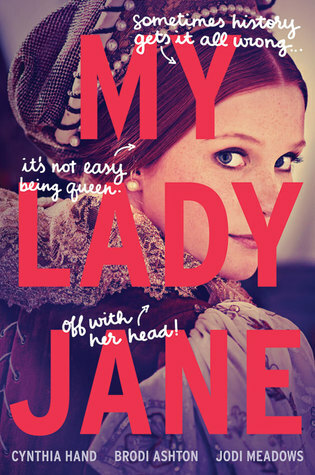 My Lady Jane is playful, imaginative, and quirky. It doesn't take itself too seriously, and it asks you to forget what you know about history and lose yourself in this alternate version of it. But y'all, I didn't find it funny! It was just a little too silly for me. But so many readers have loved this book, so don't take my word for it. The Dark Days Club caught my eye one day while I was scrolling on Instagram. Someone posted a photo of a finished copy, and I immediately wanted to read it. The cover and endpapers looked so fantastic in real life! I managed to find a copy at the library a few days later, and settled in with this Regency adventure about Lady Helen Wrexhall, a young woman who discovers a dark side to London when she learns that it's infiltrated by demons. I haven't read a lot of historical fantasy/paranormal, but I was definitely intrigued by the story. I have to praise the author for the sheer amount of research that must have gone into this novel. It was evident that she wanted to accurately portray the time period, and I certainly appreciated it. However, I think the level of detail may have contributed to my issues with the pacing. The book felt overly long at times, and it took forever for anything to happen. I occasionally found myself skimming passages. And honestly, I just didn't enjoy the paranormal aspect of this book. The stuff about the demons - how they hide, how they feed and how they're killed - did not interest me one bit. A few months ago, I was trying to figure out how I wanted to use some Audible credits that I had saved up. 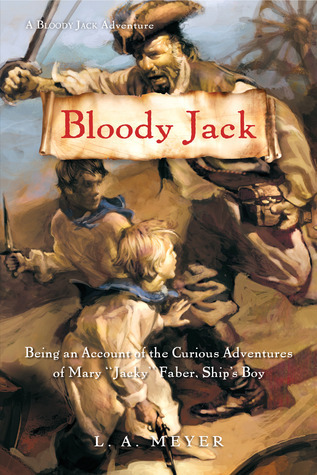 I was researching audiobook and narrator recommendations, and I kept coming across mentions of the Bloody Jack series and narrator Katherine Kellgren. The summary intrigued me and I loved the sample I listened to, so I took the plunge! In eighteenth-century London, Jacky Faber is finally able to leave behind a life on the streets to become a ship's boy aboard the HMS Dolphin. But there's a problem... Jacky is a girl. Will she be able to keep her secret from the rest of the crew? I won't give away the answer to that question, but I will tell you that this was such a delightful read! The narrator was absolutely fantastic, and listening to the book definitely enhanced my reading experience. The dialect made sense and the characters came to life with Kellgren's performance! As for the story itself, it was filled with adventure and intrigue. Jacky was a plucky heroine that I couldn't help but root for, and the secondary characters were quite memorable, too. And now I'm so excited to see what happens in the next book! I think I like the cover of Love, Lies and Spies more than the content :P Bloody Jack is a book that recently came on my radar. I'm surprised it's over 10 years old! Glad you enjoyed it; it sounds like a lot of fun. I was really curious about Love, Lies and Spies (and I adore that cover), but it's sad to hear that it didn't quite live up to the potential the synopsis promised! I don't know if I'll ever pick that one up, but I do have that author's second book for review. Maybe I'll start there? Also, I'm sorry My Lady Jane didn't end up being your cup of tea! I really enjoyed it, mostly because I found the humor and random commentary pretty funny. 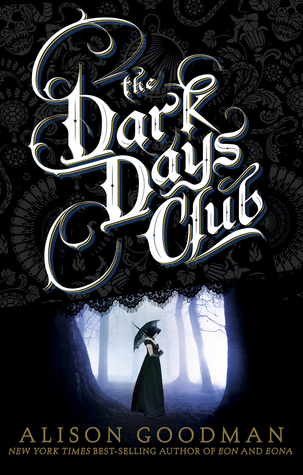 Also, The Dark Days Club is STILL on my TBR (though I've meant to read it since January). I'll definitely be wary of the fact that it's got a lot of description in it!